Financial institutions can barrage you with information and offers for prepaid debit cards and credit cards and sometimes it becomes overwhelming. Many people don’t even know what the difference between the two cards is. A prepaid credit card is a card that can be used anywhere a credit card is used, but instead of opening a line of credit, a prepaid credit card only draws from fund that you have previously put on the card. One of the best parts of the prepaid card is how it works. By putting the money on the card before charging you are only paying with cash you already have. While credit card will open a line of credit on which you might have to pay interest in the future, the prepaid card pays off all debts the moment it is used. Some might think that, since the card is already paid for, why not just use cash? 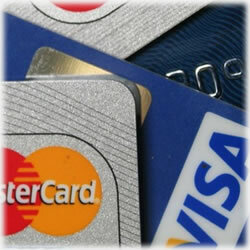 A nice benefit of prepaid cards is that such cards can have money put on to it at anytime. This is especially helpful if you are getting a prepaid card for a college child who you want to be able to get more cash to quickly in case of an emergency. And since prepaid cards are usually accepted anywhere that credit cards are, there is little to no impact upon the ease of use. Another benefit that prepaid cards hold over cash is more about security. When you lose a twenty dollar bill you would more or less just be out of luck since that money can be used by anyone at anytime. With a prepaid card, if the card is ever lost or stolen, all that needs to be done is for you to call the card provider, cancel it, and have a new one sent to you. When you have a credit card it can be difficult to stay on a budget. With a credit card you usually have a far larger line of credit than you would like to spend and its convenience might tempt people to spend more than they have budgeted. With a prepaid card you are safe from overspending and can control those splurging urges to stay on budget. Plastic cash is an undeniable reality in today’s world. Kids need to learn how to responsibly handle the idea of intangible money and a prepaid card is perfect for that. With a credit card teens might overspend, but with a prepaid card, their spending habits can be controlled and monitored until they have matured in how they deal with finances. Many people still worry about giving out their credit card information online as any unscrupulous hacker might steal their information and go on a spending spree. With a prepaid card even if a thief steals your information, there would be a limited amount he could spend. In this way prepaid cards limit your liability while shopping online. One of the pains with cash is that when you move country to country there is always a need for exchanges. With prepaid cards, because of the universality of plastic cash and the ability for computers to do the exchange rate and debit the account, you are able to use them anywhere, anytime. If you have a bad credit score, getting a credit card can be tough. With a prepaid card there is no need to worry about your credit score as people of any credit history can get this kind of card. If you are one of those people with a bad credit history, prepaid cards are a great way to begin pull that credit score up. Many prepaid credit cards report to the major credit bureaus and if you keep your account active and use it properly and often, your credit score will begin to improve. Prepaid cards can be used at nearly all ATMs to get some quick paper money when you are in need. This is very similar to how credit cards work, only it is just taking the money you asked for right out of your account. Clearly there are a lot of benefits to using a prepaid card. Just remember, whenever choosing your financial decisions, make sure you carefully weigh the pros with the cons.